Hip Hop Hub has recently invested in a time machine to journey back in to chart history. on our maiden voyage, we travel to the early 00s where Ashanti is no.1 with her debut single “Foolish”. The year is 2002. The fashion is… challenging; denim skirts, ‘parachute’ pants, velour tracksuits (thanks J.Lo). A surge in commercial hip hop will see the decade showcase talents such as Nelly, Ja Rule, and 50 Cent. Puff Daddy is now P.Diddy and Murder Inc Records is still relevant. The day is Friday 3rd April and Ashanti is into her last week of a 10-week reign on top of the Billboard Hot 100. 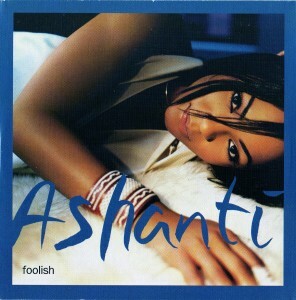 “Foolish” was the debut single from the debut album Ashanti and went on to sell over 8.4 million copies. It uses the same sample as Biggie‘s “One More Chance“ remix with production from Murder Inc boss Irv Gotti. We can’t forget to mention the brilliant remix “Unfoolish“ which took a verse from another Biggie tune. Either way, the result was a global hit relatable to everyone and anyone who has experienced a difficult relationship. Ashanti’s desperate and emotive vocals highlight the issues of a troubling union, while at the same time, clinging on to the wrong type of love. It gives the Beyonce ‘independent woman’ vibe but in a realistic way; break ups are hard, people get hurt. The video for “Foolish” featured actor Terrence Howard in a brilliant narrative that followed the turbulent lyricism. “I trusted you, I trusted you. What love will make you do. What happened next for Ashanti? 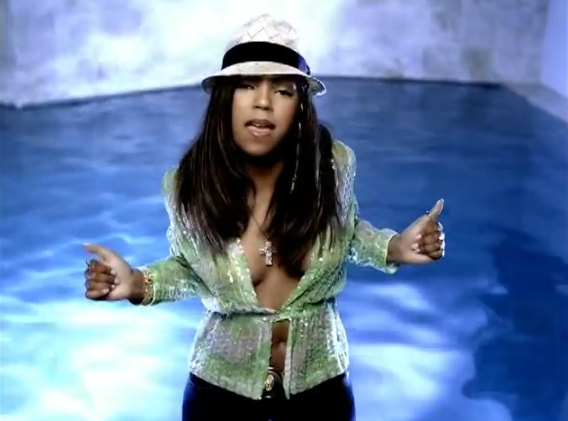 Before her debut album dropped, Ashanti collaborated with label mate Ja Rule. The rapper was blowing up the 2000s with his female-guest hits. As a result of this and the success of her first album, Ashanti went on to have a song in the top ten of the R&B/hip-hop charts every week from January to November 2002. One follow up single “Baby” wasn’t as successful as “Foolish” but did appear in the Top Ten (U.S) respectively. Her next album Chapter II (2003) debuted at number 1 with the lead single “Rock Wit U (Aww Baby)“ making it to No. 2. Unfortunately, the Murder Inc raid and guilt-by-association 50 Cent beef led to a decline in success. She went on to release Concrete Rose (2004) and The Declaration (2008) under Irv Gotti but was released from the label in 2009. 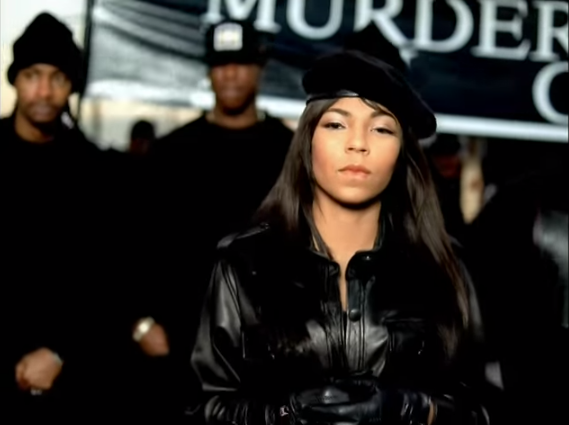 The latter album saw Ashanti stray from her ties with Gotti and Murder INC.
Ouch. The singer returned to the studio in 2010 and released her fifth album Braveheart (2014) under her own record label. Despite never achieving the success seen earlier, the LP debuted at no. 10 on the Billboard 200.